The Thunderbolt Male to Male Cable from Comprehensive features a data transfer rate of up to 10 Gbps for quick access times. With it, you can connect two Thunderbolt-equipped devices to transfer data or video. Furthermore, it is Mini DisplayPort-compatible so can use it to output video to an external display. This cable has copper braid shielding and an Xtra-Flex jacket for interference rejection and durability. 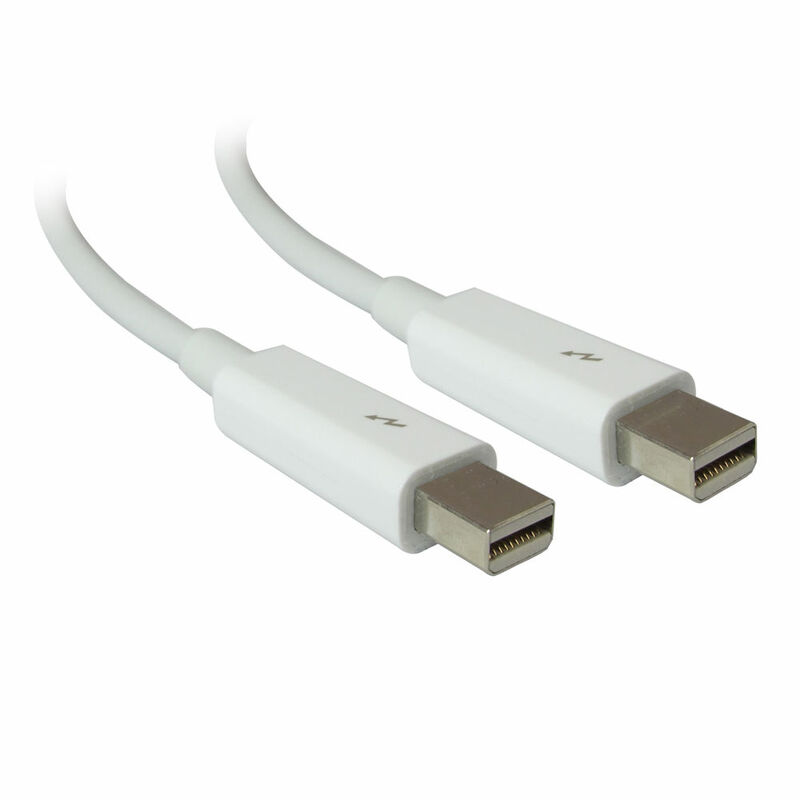 Box Dimensions (LxWxH) 7.0 x 5.0 x 4.0"
Thunderbolt Male to Male Cable (6', White) is rated 5.0 out of 5 by 1. Rated 5 out of 5 by JuanB from Awesome cables! Excellent quality. Should last a long time! Great for transferring data and connecting two Macs together!